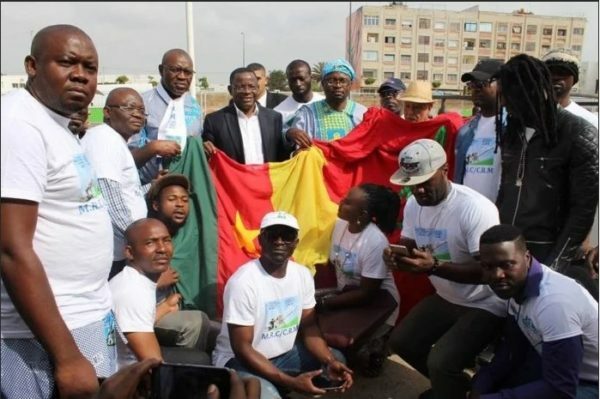 Supporters of the Cameroon Renaissance Movement are mobilising to receive the US Assistant Secretary for African affairs who arrives the country this weekend. Tibor Nagy who is on an African tour is expected to arrive Cameroon on March 17 where he will hold talks with authorities on a wide range of issues. Even before arrivng Cameroon, the US diplomat went on air to say he will be asking Cameroonian authorities to releease Maurice Kamto and his supporters arrested and detained since January. Supporters of the CRM thus see this as an opportunity to put pressure on the US diplomat not to back down on his comments and are mobilising to receive the US diplomat at the airport with messages on placards. 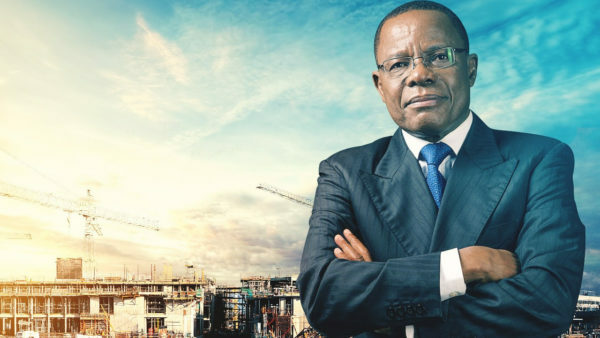 They have grouped themselves in what they call “Committee to release Maurice Kamto and other detainees” and equally plan to organise peaceful protests at the US Embassy in Yaounde. The United Nations Security Council has been urged to take action against alleged human rights violations reported in Cameroon for the past months. In a report published on Tuesday March 12, the Human Rights Watch group said it was alarmed at the grievous acts committed againts civilians in Cameroon since the crisis escalated and urged the UN Security Council to take action after staying mute for long. All these rights violation that have been going on for over two years now have attracted less attention from the UN Security Council and Human Rights Watch has now tasked the body to uphold its credibility by giving the situation in Cameroon the attention it deserves. 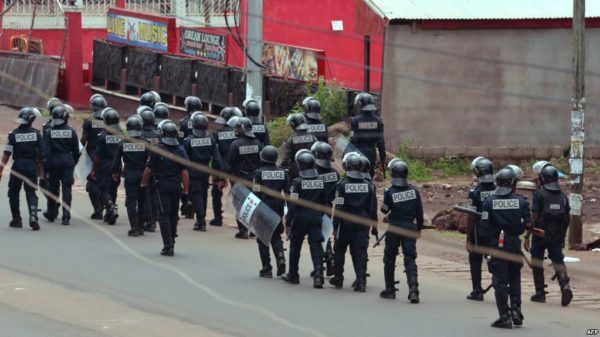 The Government of Cameroon has on several occasions denied reports of human rights violation though saying it will investigate and prosecute any member of the country’s defence and security forces suspected of such crimes. Other countries featuring on the Human Rights Watch report are Bahrain, Egypt, Philippines and Turkey. Washington has announced it is scaling back its military aid to Cameroon, over allegations of human rights abuses by government troops, diplomatic sources in Yaoundé told APA on Thursday.The announcement, already made by leading American media, was confirmed, under condition of anonymity to APA, by a US diplomatic representative in Cameroon, estimating the compromised military support stood at some CFA97 billion. 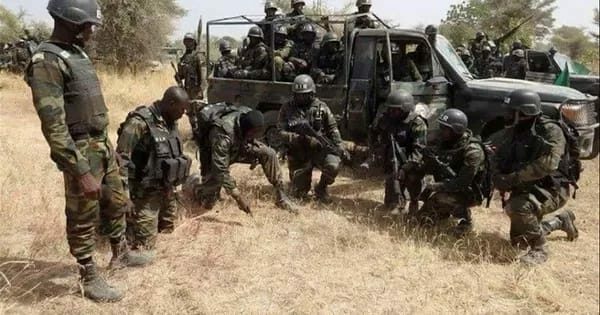 This suspension, which will be further slashed if the situation so requires, concerns in particular security assistance, observation through radars, patrol boats and aircraft, armoured vehicles, peacekeeping, counter-terrorism and training programmes. 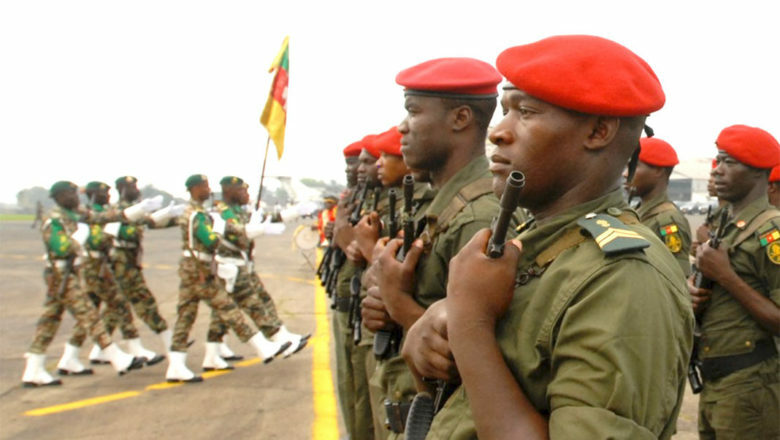 At the same time, the State Department continues to urge the Cameroonian government to take seriously all allegations of gross human rights violations by the army, particularly in the English-speaking regions of the North-West and South-West, where a secessionist conflict has been raging since October 2016, but also in the Far North, where the defence and security forces are engaged in the fight against Boko Haram militants. Yaoundé is also urged to investigate these allegations in depth, to identify those responsible for possible human rights violations and to disclose the results of the investigations to the public. Last May, US ambassador to Cameroon Peter Henry Barlerin called on the army to “treat captured enemies with humanity, provide for the needs of refugees and internally displaced persons, and develop mechanisms to welcome Boko Haram’s defectors and reintegrate them into society.”At the same time, the diplomat accused the English-speaking separatists of murdering soldiers, kidnapping government officials and setting schools on fire. Amnesty International has called on the United States to put pressure on other organisations to withdraw aids from Cameroon on grounds of rights violation. On Thursday, CNN reported that the Trump administration will be cutting $17 million in security aid from Cameroon on grounds of alleged human rights violation. “Cameroonian security forces have indiscriminately killed, arrested, and tortured people, firing on crowds, displacing thousands of civilians and destroying entire villages with impunity,”Adotei Akwei, deputy director for advocacy and government relations for Amnesty International USA said. “The United States must continue to show that it takes human rights violations committed with its aid seriously, through the suspension of all security assistance until the Cameroonian government can show it has not been utilized to commit serious violations of international law and persons responsible have been held accountable. The Trump administration should press other donors of security assistance to review their programs and insist on accountability and reform within the Cameroonian security forces”. The European Union has cautioned Cameroonians to avoid violence as they go to the polls on Sunday to elect a new President. In a statement issued by by Maja Kocijancic, the spokesperson for Foreign Affairs and Security at the European Union, the EU called for a peaceful and credible election on Sunday. “The organisation of elections, in a peaceful, credible, inclusive and transparent manner, must gather the largest number of voters… Any attempt to disrupt the voting by acts of violence against persons or property must be avoided,” the EU said said. The European Union also stressed that those residing in the North West and South West Region must be able to vote despite the instability which has forced many persons to flee their homes. The European Union also said its supports any initiative aimed at a constructive and inclusive dialogue that will seek a lasting solution to the Anglophone crisis. The president of the Confederation of African Football (CAF), Ahmad Ahmad, rejected any idea of withdrawing the hosting of the 2019 African Cup of Nations (AfCON) from Cameroon, saying CAF had “never thought of” such a move.Speaking to the press in Yaoundé on Tuesday, after a one-hour meeting with President Paul Biya, he said that it is Cameroonians themselves who are spreading this rumour and thus smearing the image of their country. According to Ahmad, President Paul Biya has given him “the assurance that Cameroon will be ready” for the tournament. This clarification puts an end to the questions raised by the continental body, which five days ago had questions about Cameroon’s ability to meet the deadlines in its specifications. CAF in a statement in Sharm El Sheikh (Egypt) announced: “The final decision will be taken at the end of November after the last inspection visit of the audit firm Roland Berger and CAF. For the past year, Ahmad has been blowing hot and cold in relation to the AFCON “Cameroon 2019,” saying he is not “sure that Cameroon is ready to organize” the competition; and at another time that “many things are still missing, and there is very little time left.”On another occasion, he argued that “CAF does not have a plan B” to compensate for the country’s inability to host the biggest sports festival on the continent. President Paul Biya of Cameroon says the Boko haram insurgency has been defeated in the country. The President made the claim over the weekend in Far North, Maroua, a region which has been the target of suicide bombings and other attacks by the extremist group. Biya said the country had “overcome the worst” of the conflict against anglophone separatists, as well as the bloody insurgency being waged in the far north by Nigeria-based jihadist group, Boko Haram. Biya delivered his first stump speech of the campaign to thousands of supporters under a baking sun at Maroua’s stadium flanked by dozens of ministers. It should be recalled that this is the President first visit to Maroua since 2012. The Chairperson of the African Union Commission (AUC) H.E Moussa Faki Mahamat has authorized the deployment of a 12-member long-term election observation mission to the presidential elections scheduled to take place on 7 October 2018 in the Republic of Cameroon. 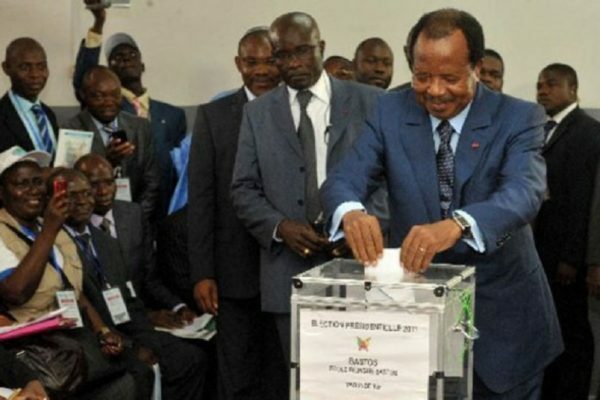 According to an AU press release, the four (4) core team of analysts and eight (8) long-term observers (LTOs) arrived in Yaoundé, Cameroon on September 5, 2018 and will remain in the country until 19 October 2018 to comprehensively assess the electoral process in line with the African Union Long Term Election Observation Methodology. The release states that the Long Term Observation Mission will be joined by a Short Term Observation Mission close to the 7 October polls, from 28 September 2018 to 10 October 2018. The overall objective of African Union Election Observation Missions is to promote democracy and build public confidence in electoral processes in AU Member States. The conduct of credible, democratic and peaceful elections in Member States is deemed critical to the realization of the AU’s aspirations and its overall goal of ensuring an integrated, peaceful and prosperous continent. A coach driver was killed and several other people were injured in an attack on a passenger bus convoy in strife-torn northwestern Cameroon, a public broadcaster said late Sunday. The attack launched by armed men on Saturday night is the latest violence in the restive region, where English-speaking separatists have declared an independent state. Images shared on social media of the incident appeared to show five coaches with their front windows and roofs smashed in by construction equipment. Separatist unrest in Cameroon’s two minority English-speaking regions — North-West and South-West — has left scores dead and displaced about 200,000 people since late 2016. A total of 109 members of the police and security forces have been killed, according to government figures. LIRE AUSSI: Ambazonie: encore un village incendié par l’armée dans le Nord-ouestCi-dessous, la liste complète des personnes tuées depuis le début de la crise1) Akum Julius – died on 8 Dec 2016 in Bamenda. 29) Fru Akuma - died on 29 May 2018, died on exile in Nigeria. 36) Tabe Elvis - died on October 2017, shot in Fako37) Endo Cyprian - died on October 2017, shot in Fako. 53) General Enindem - 12 May 2018 at .....54) Eboka ....... - 7 May 2018, shot on motorbike and abandoned the roadside at Ikata, Muyuka area. 70) Chiabah Terence (Fally) - 25 June 2018, shot to dead in Belo, Kom (brother to Sam Soya). Published on 06.08.2018 at 12h54 by AFPFive police have been killed in fresh violence in western Cameroon, where English-speaking separatists have declared an independent state, security sources and witnesses said on Monday. “Many people were so afraid that they went off into the bush — others are trying to get to Bamenda,” the capital of Northwest Region, the source said. As the situation polarised, anglophone militants last October 1 made a symbolic declaration of independence that met with a government crackdown. Scores of police and troops have been killed, as well as more than 100 civilians, according to a government report in July. The following year, the British-ruled Southern Cameroons were amalgamated into it, giving rise to the Northwest and Southwest regions.